Have you read about the story of Marie Curie and her life as a scientist in this year's book, Radioactive? Interested in reading more about other successful female scientists, such as Lise Meitner who made contributions to nuclear physics and radioactivity and Rosalind Franklin who is known for her work with X-ray crystallography and DNA? 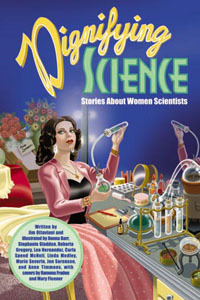 Pick up the graphic novel, Dignifying Science: Stories About Women Scientists! Like Radioactive, this book is also very artistic in its depiction of these women, not only in their field of work, but also their in their personal lives. This short graphic novel is an fun and easy read, as well as informative. 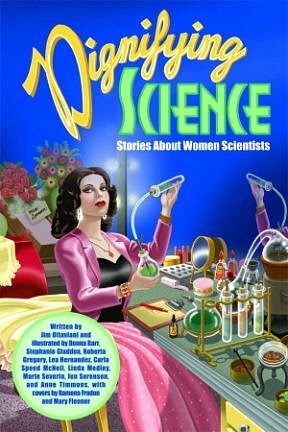 If you're interested in learning more about stories of women scientists like Marie Curie, you can find this book in our UW Library System. Photo courtesy of G.T. Labs.